DXC Technology is the world’s leading independent, end-to-end IT services company, helping clients in India harness the power of innovation to thrive on change. Online Technical Test: Here the questions come from Basic mathematics, Logical reasoning and computer science fundamentals, both MCQ and Programming type questions you will find. 2. Fibonacci series like etc. Asked me major and minor project details which we did during final year. Asked me Technical questions from programming languages which I mentioned in resume. Abstraction? Difference between Manual and Automation Testing? Why testing is required? Bug life cycle? Interviewed on some general questions like hobbies etc. 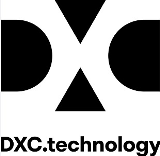 What do you know about DXC Technology India? Do you have any questions? Etc.